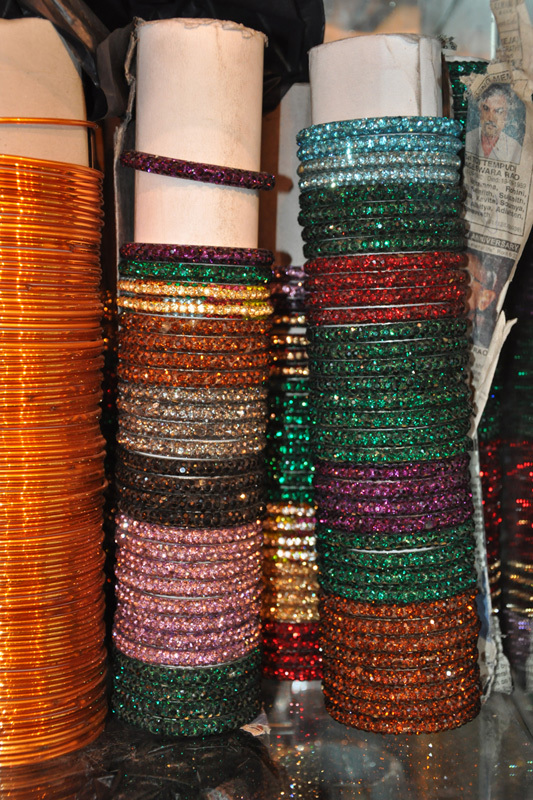 Hyderabad – Lad bazaar in old city is the main production center for lac bangles. The craft was originated over 500 years ago during Mughal period. 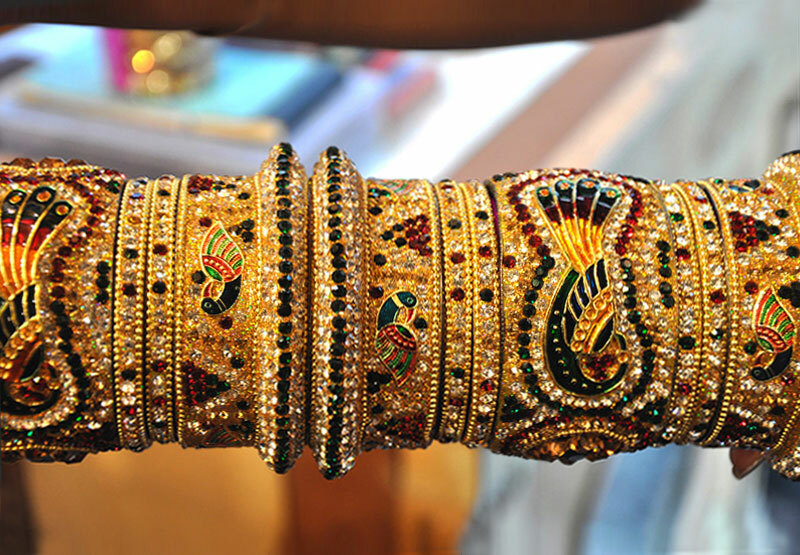 Lac bangles were worn by women in the royal households, which were decorated with precious stones as a symbol of royalty. The craft flourished over the decades and patronized by many royal families. 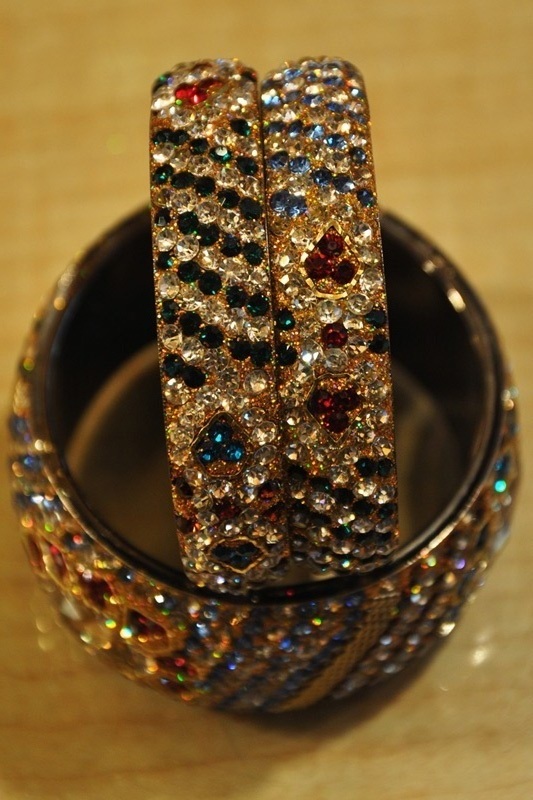 The artisan skillfully embellishes the bangle with colors of precious and semi precious stones. 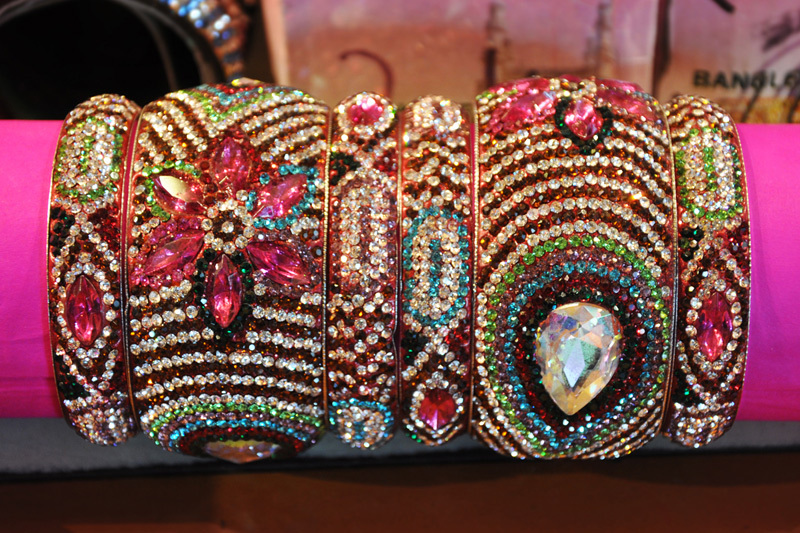 The bangles of different sizes and unique designs are created according to the latest trend. 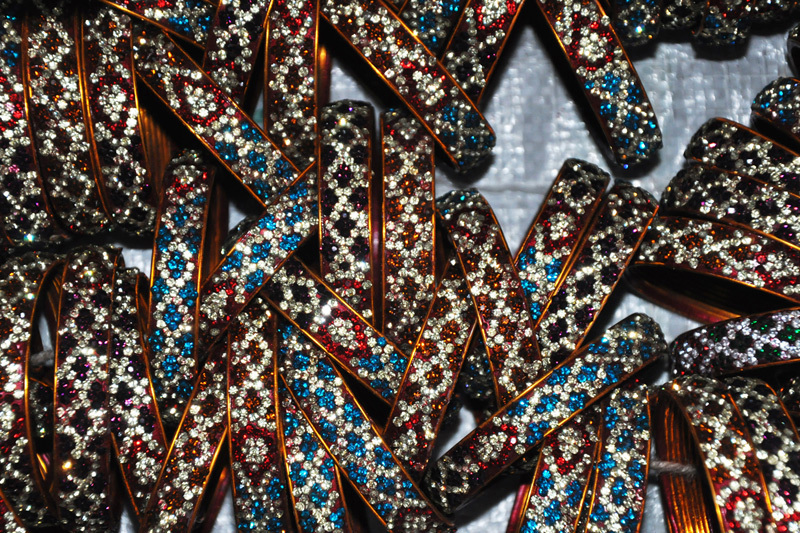 Motif designs are created according to the festive occasions as per the market demand. 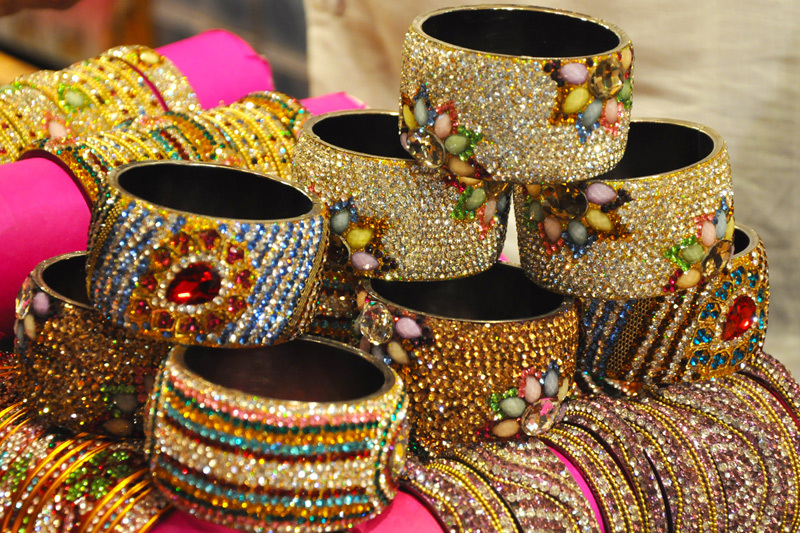 Beautifully embellished lac bangles of Hyderabad are available in many designs. 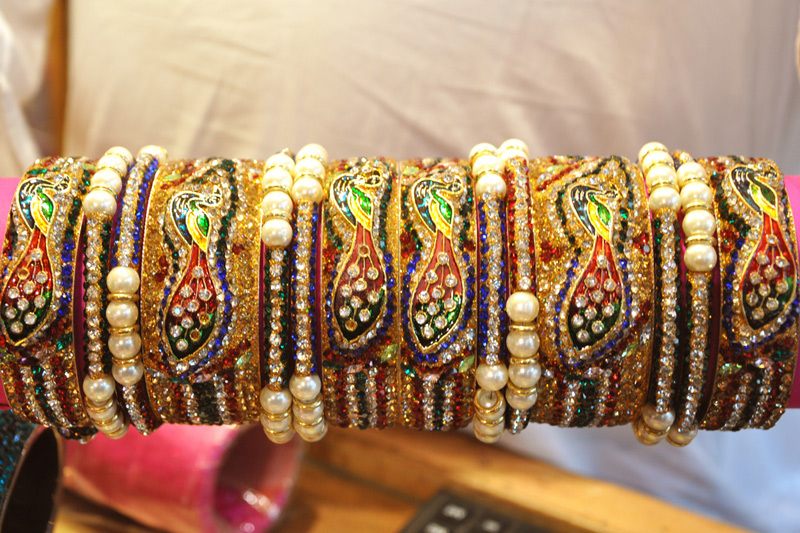 These bangles have maximum sales during festival and marriage occasions. 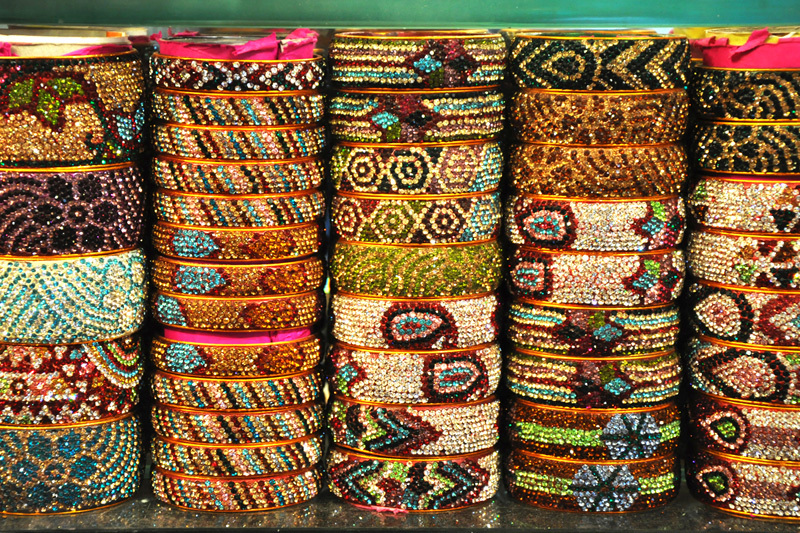 Traditional bangles are manufactured locally in Hyderabad and glass bangles are manufactured in Firozabad. 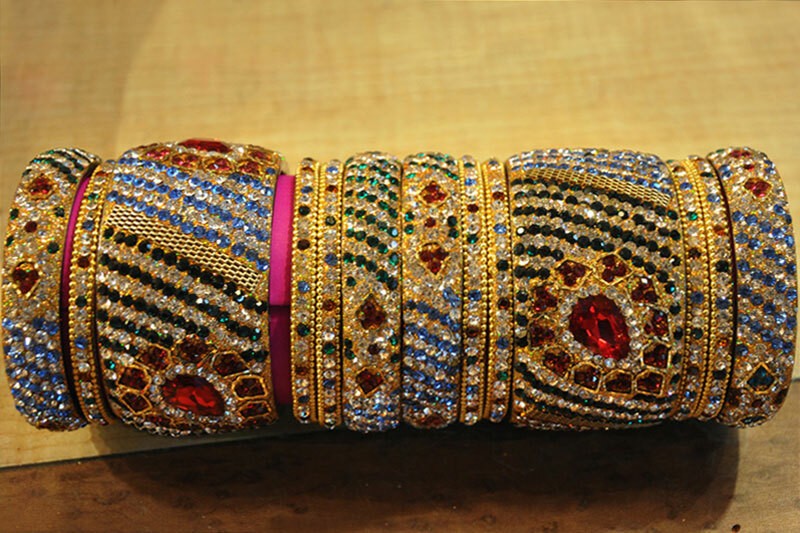 Earlier stone bangles were very expensive as the stones were imported from other country, but now as the stones are manufactured in India stone bangles are available in reasonable price. 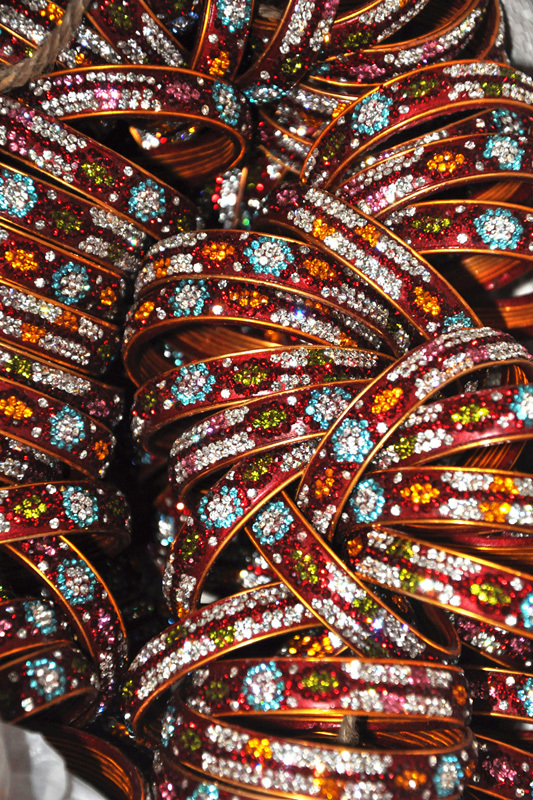 Bridal-wear bangles are the main glamour among lac bangles. 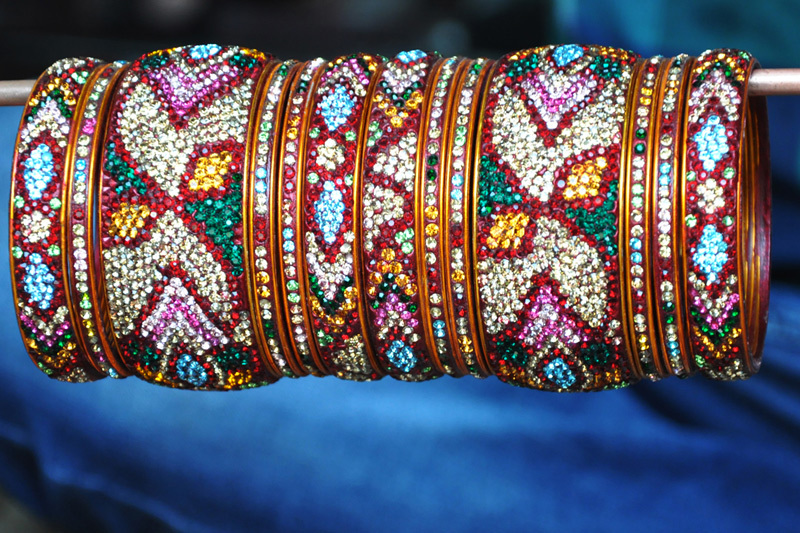 These bangles have unique designs according to the wedding customs. 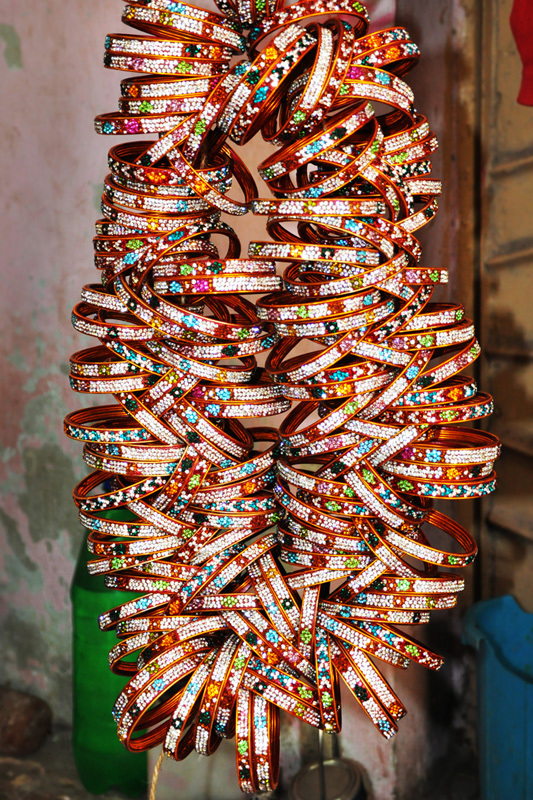 Artisans also create designs according to customer’s demand.